Trained volunteers are effective volunteers. 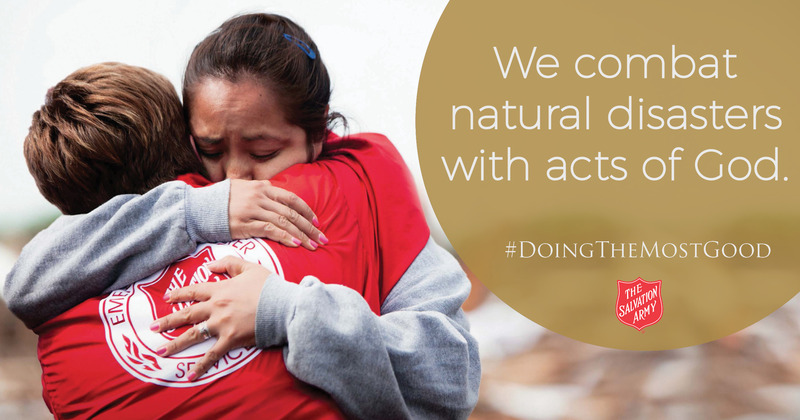 During a disaster, The Salvation Army relies upon trained disaster workers to coordinate emergency relief operations and deliver fast, efficient service to disaster survivors. The Salvation Army's national disaster training program includes courses developed by The Salvation Army and training certified by other partner organizations whose technical expertise is nationally recognized in a given field. Learn more about our National Disaster Training Program, when you are ready to get involved with Emergency Disaster Services, register online today!